Save 46% on this highly-rated kit! 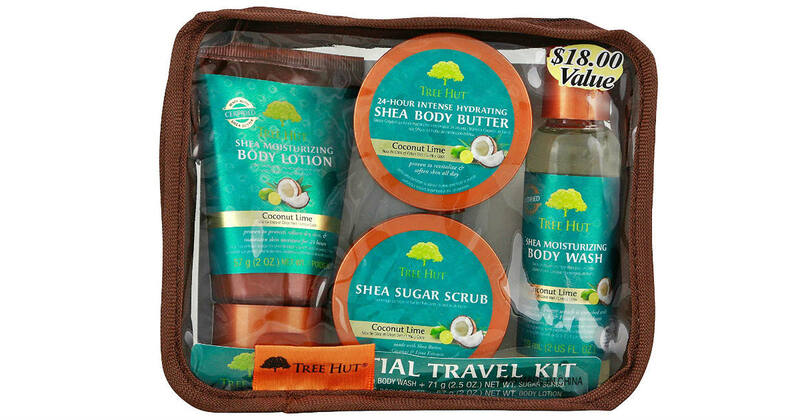 Score this Tree Hut Essential Travel Kit for only $7.59 on Amazon, an $18.00 value. Includes travel-safe sizes for moisturizing and exfoliation in one kit. Contains convenient zip-up travel bag! Premium deep moisturizer that wonderfully softens and smooths dry cracked skin. Amazing skin conditioners that prevents dryness and provides your skin a refined healthy glow.